The world of college is a new arena – with new approaches, new expectations, and new standards, and the best students anticipate and adjust to the differences. College students are expected to do the bulk of their coursework outside of class time. 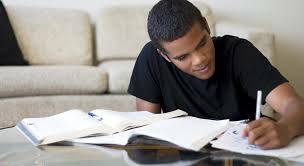 High school students typically do a large percentage of their homework during school hours and may spend 1-2 hours doing work at home. A general rule of thumb for college students is the expectation that they will spend 2 hours outside of class for every hour that they are in class. A student who spends 12 hours/week in class, then, should spend another 24 hours working outside of class. A student who is not prepared for spending a significant amount of his out-of-class time studying may not realize why they are struggling with their work load. High school assignments are often daily and are primarily to reinforce class work. They may stress learning information and facts. Colleges classes tend to give fewer assignments, but the assignments are more difficult and each assignment counts for more than a typical high school assignment. For example, a college student may be assigned a major paper or project at the beginning of the term and will be expected to work independently until it is due late in the term. Reading assignments may be given, but students may not be tested until midterm and will be responsible for many chapters at once. Students are responsible for breaking larger projects into manageable pieces. High school students may have frequent quizzes and weekly or chapter-ending tests. Teachers remind students of upcoming tests often and may spend significant class time preparing and reviewing for the test. College classes may have infrequent tests, with each test cumulatively covering a significant amount of material. Instructors may not remind students of upcoming tests (they expect students to read the syllabus and they may spend little or no class time reviewing material. High school students have consistent daily interaction with their teachers and receive frequent feedback about their grades and what they might need to do to improve those grades. In college, it is often up to students to know how they are doing, and if they need to adjust their work habits. If students want more feedback about grades, the responsibility may fall on them to contact their instructors during office hours to discuss their progress. In some classes, a final grade may be determined by two or three large assignments or exams. Because high school students spend so much more time in class, they have more opportunities to interact with their teachers. High school teachers, who are trained in teaching methods, vary their teaching techniques, work closely with students, and monitor student progress closely. College instructors are experts in their field rather than formally trained teachers. They may be less creative in their methods, and they expect students to seek them out if help is needed. They may not follow the textbook with their lectures, may not take attendance, and may not remind students of incomplete assignments. This is not necessarily negligence on the part of instructors, it is a difference of approach to teaching and learning. In high school teachers are responsible for student learning; in college, students are responsible for their own learning. Although there is a major shift during college to student responsibility and independence, students are not alone on this journey. Colleges want students to succeed, and there is a lot of institutional support if students seek it out.